We haven’t really done much to write about over the last two days. Yesterday we went to Twins Club in the morning and played in the garden all afternoon. Today we spent the morning playing inside at home and this afternoon we went to Caterpillar Tales house. There has been lots of playing, reading, some computer time, some TV. But two things have happened that really stand out, really made me stop, take a step back and think. The first one was yesterday. 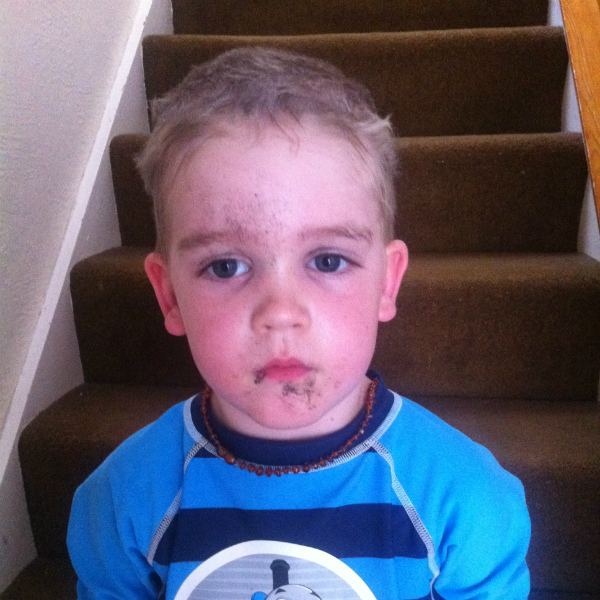 We were getting the kids inside for dinner and Ben strolled in and headed upstairs with Gordon for a shower, He had been playing in the mud and had obviously been having a great time! And this what childhood is all about isn’t it? Playing outside and getting dirty. Some days, a patch of mud is enough. The second moment came this morning, I was outside feeding the rabbits and I looked over towards the flower bed. The rose that I got from my Nana’s garden after she passed away has flowered. We only planted it in May so weren’t expecting it to flower at all this year. It wasn’t in bud when my mum dug it from Nana’s garden, so we didn’t know what colour flowers it had. I saw it this morning and it is the same colour as the roses we placed on the coffin at the funeral. 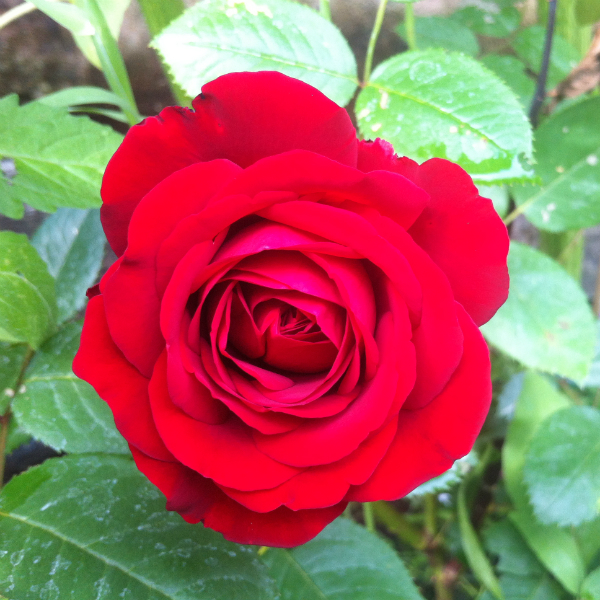 My Nana’s favourite red rose. Two days. Two moments I won’t forget.